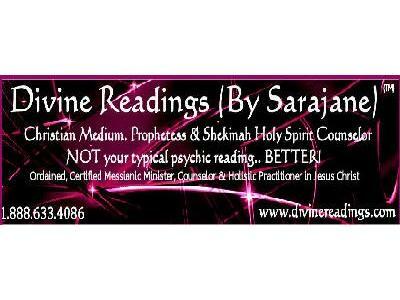 Free Psychic Divine Readings with Sarajane Pennington! Sarajane has been providing Readings, Counsel and Christ-Shekinah Bound Healings since 1992; and turned professional and online since 2000. She became aware of her gifts as early as age 7 and had a knack for memorizing Biblical stories and Scripture; when she heard the voice of two Angels specifically, during a fight her parents were having. They were the Archangel Gabriel and Ariel. Not only did she hear them, but her younger sister April heard them as well. They told her to do nothing and watch Heavenly Father do His Will. The next day, her Mother packed up with her and her siblings and left. Since that day, Sarajane speaks and understands their language. She knows her place in the divine design of The Father, The Son, and The Holy Spirit. Her first major vision was experiencing and interacting with Jesus and His disciples; witnessing the Crucifixion and the Resurrection. She always had faith and that vision confirmed for her that God had a purpose and plan for her. She uses no divination tools and protects herself spiritually as instructed in 1st John 4:1-3. 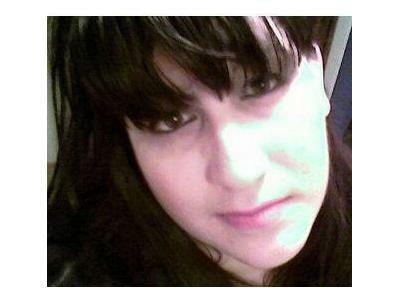 As a Messianic Prophetess/Medium and Shamanic Healer; Sarajane’s gift is to connect and shift into the realms of the Divine in a RARE and POWERFUL WAY; with the power of God and the authority of Jesus Christ., to speak with Angels and with Ascended Saints. She humbly draws upon their wisdom and passes it on to her clients in her sessions.